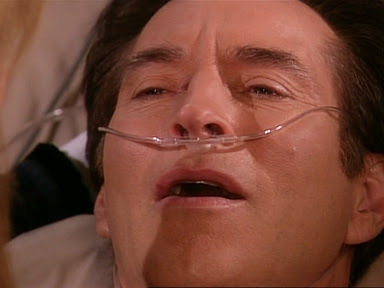 The Diva of Days of Our Lives: Drake Hogestyn's Name Removed From the Credits? According to Days of our Lives statistics guru, Jason 47, today's episode of Days was the first one to not have Drake Hogestyn's name listed in the credits. It means he is off contract, but not necessarily fired. Recurring actors' names appear in the credits for the week they appear., but not the weeks they do not appear. It is possible that Drake is on recurring. What do you guys think? Is Drake gone for good? I think its disgusting the way Days treats its vets... disgusting! Not really flattering this picture Diva..poor Drake. this makes me very mad i'm getting sick of it! Disgusting!Drake and Deidre were my only reason to watch. I am done if Drake is not back and back with great storylines. Whole time he was back was just stupid story lines. I am sorry Brady does not cut it. He does not have the charisma Drake has at any age.